Happy Wednesday! 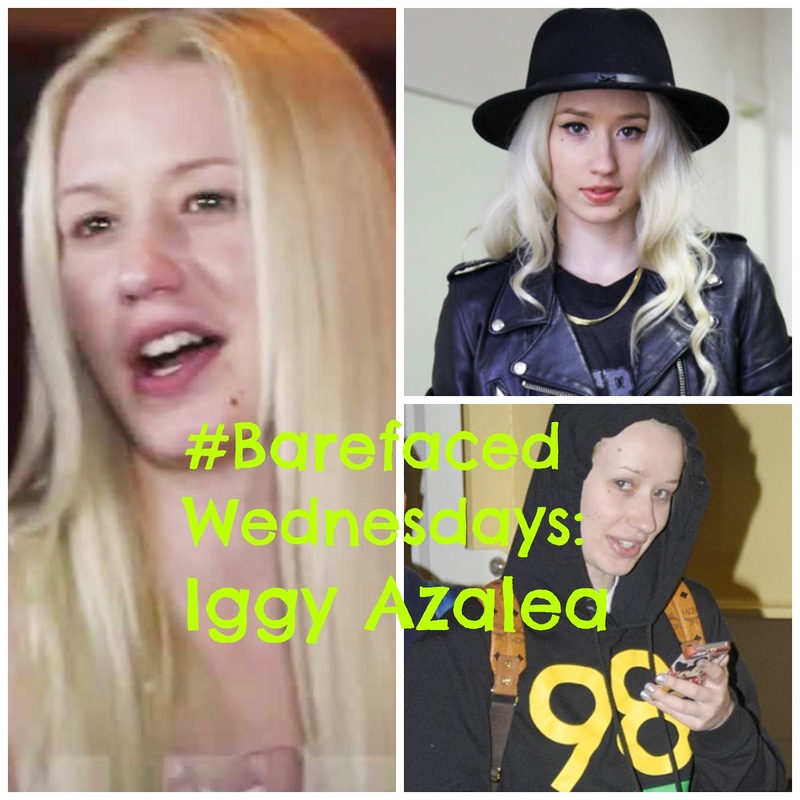 This week’s #BarefacedWednesdays #muse is Iggy Azalea. She got a lot of bad press when the papz captured a picture of her #sansmakeup at the airport (bottom right). I think it was mainly her hoodie that made her look a little less than glam because look how cute she was in the studio without makeup on (left). She has beautiful fresh skin! She’s super cute, too, love her steez!